Twitter CEO Jack Dorsey has some more muddled thoughts on moderation on his platform, including a half-assed explanation of why he banned Infowars host Alex Jones and why the president should be allowed to use his platform to threaten nuclear war with North Korea. Per the Daily Beast, Dorsey took to comedian-turned-podcaster Joe Rogan’s show in an episode that aired Saturday morning (that’s the same show that SpaceX and Tesla CEO Elon Musk smoked weed on, for the record). During the show, Rogan asked Dorsey why he had banned Jones, who was kicked off Twitter following a wave of bans on other platforms for his habit of hate speech and attacking mass shooting survivors’ families. “I believe it’s something that everyone has a right to,” Dorsey replied. Dorsey responded with a confusing stream of thoughts on “context” and “different mediums,” then suggested that Trump isn’t all different from Obama, who had also threatened to nuke North Korea or something. In any case, this is a good illustration that Dorsey’s version of playing the neutral facilitator often just ends up as either incomprehensible truisms or attempts to placate his most vocal critics (who in many cases tend to be right-wingers trying to work the refs). In any case, Dorsey did have a second explanation for why Trump’s tweets need to stay up that stands up to a little more scrutiny—that his tweets are inherently newsworthy. This is indeed true, even if it is also a way for Twitter to avoid the firestorm that would be sparked if they banned or penalized Trump. 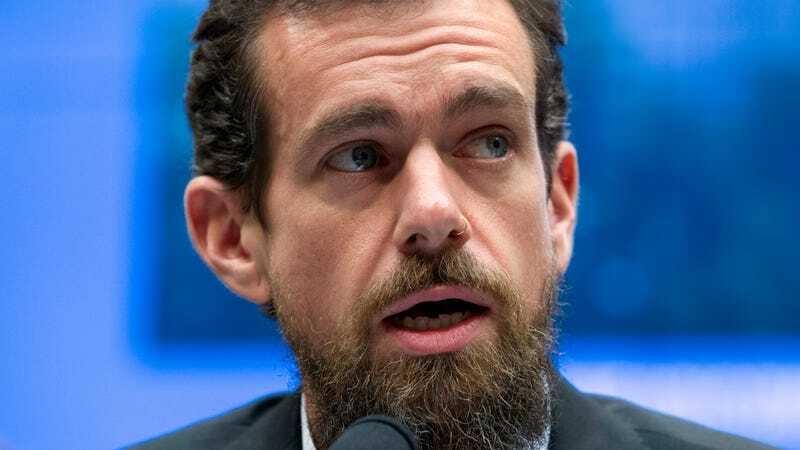 “If we had a public leader, like the president of the United States, make a violent threat against a private individual, we would take action,” Dorsey told Rogan.